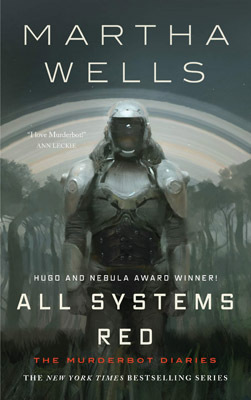 The Murderbot Diaries is a series of novellas by Martha Wells. They’ll all be published this year. The first two are out now, with #3 due in August and #4 in October. As novellas, they’re an easy length and they don’t get bogged down in too much worldbuilding arcana. It was a nice change from The Luminaries. The fist two are good reads. It’s not genre-defining fiction or anything, but there are some really cool ideas and it’s written well. I’m looking forward to the rest.